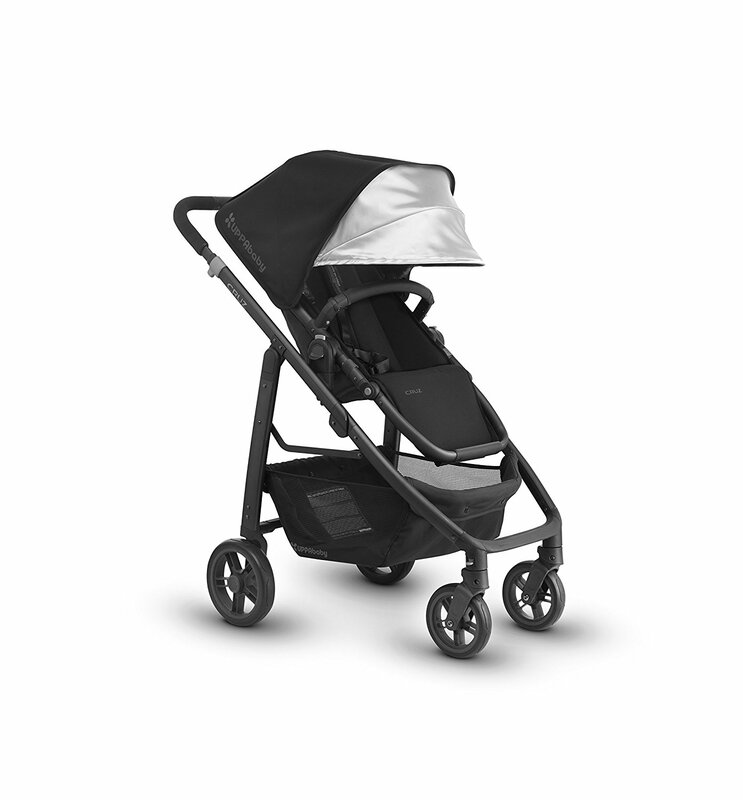 The Baby Jogger POD Chassis is a versatile, convenient stroller for up to 2 children. 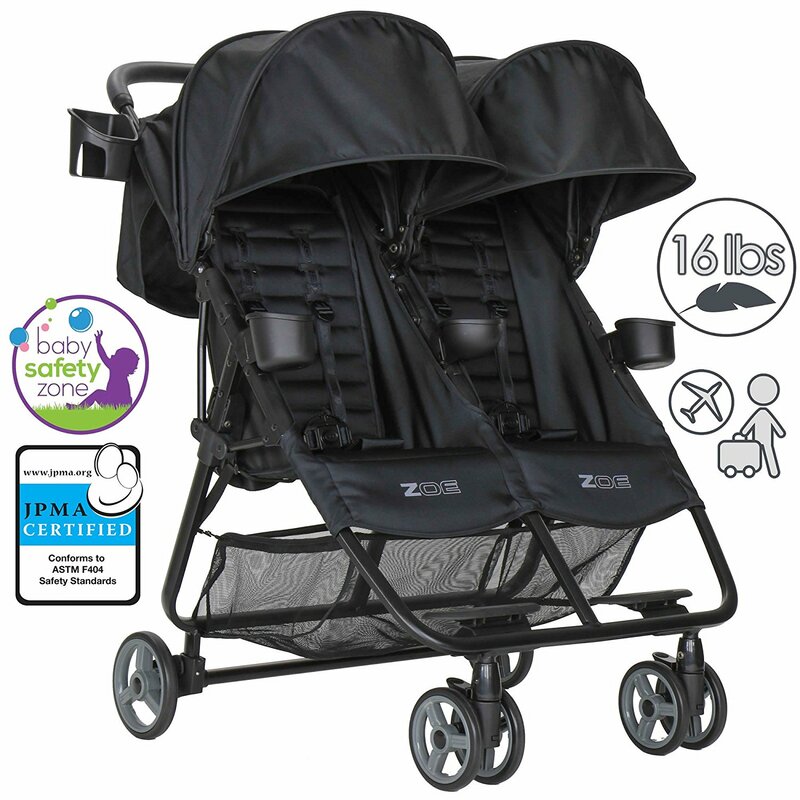 With its large 20 inch rear wheels, adjustable handle and variable wheel options this stroller is great for walking, jogging or riding your bike with your child. 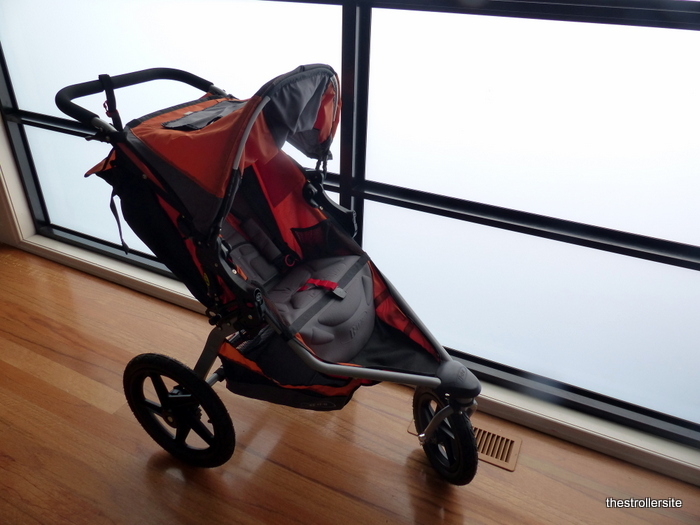 The fully-contained seats mean that there will be no more toys lost or blankets getting caught in the wheels as the cabin of this stroller zips up to ensure nothing goes missing while maintaining 180º views. 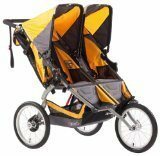 This stroller is best suited for families who believe in the importance of being outside and active. 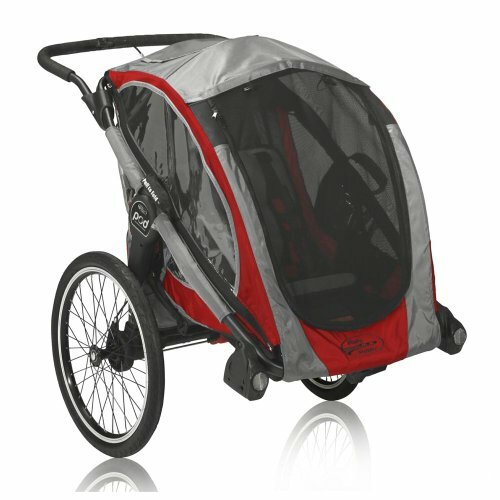 While it has the standard 4 wheel option for a regular stroller, it also can be converted into a 3-wheel jogging stroller and there is also a trailer adapter so you can pull it behind you while you go cycling. With the ability to go from a single passenger to dual passengers, this is ideal for families with children who are transitioning from the stroller to walking but not quite ready for the long walks yet as they can come and go as they are ready. Watch the following video to check the stroller out in action for yourself. I like the fact that all of the transitioning of this stroller can be done without tools which can, and will, be lost. There is plenty of storage and the fact it can change from one passenger to two with a few snaps is beyond convenient. 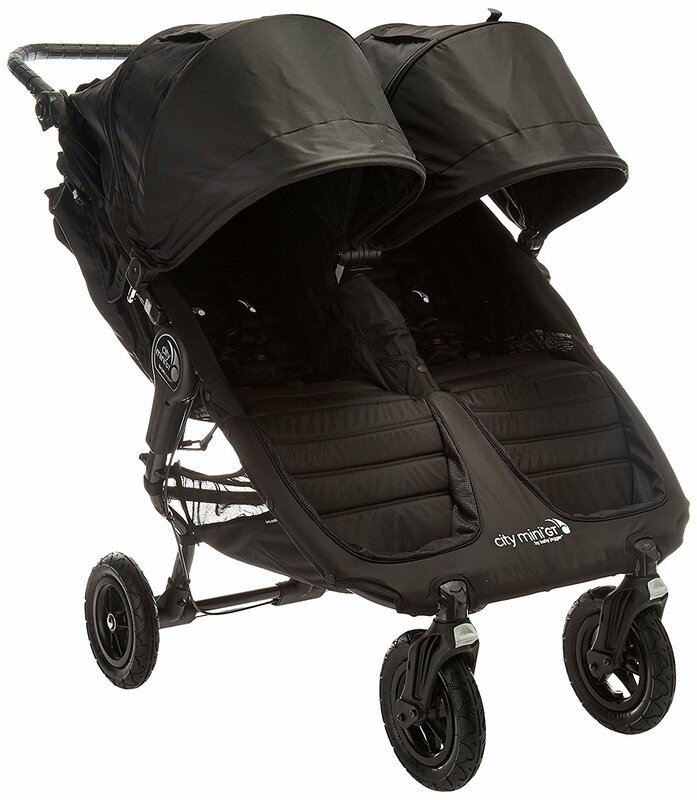 The other nice feature is that you do not have to buy a bunch of different strollers for different uses as this functions well as all 3 varieties: stroller, jogger and bike trailer. The other thing I really like about this stroller is that it zips up. The number of toys, soothers, sippy cups and blankets falling on the floor alone is enough to make one consider this stroller. The thing I didn’t like about this stroller is that the jogging feature only has the option of a fixed wheel. For some this may be a bonus, but for me it is something I would rather have the option of a swivel wheel. 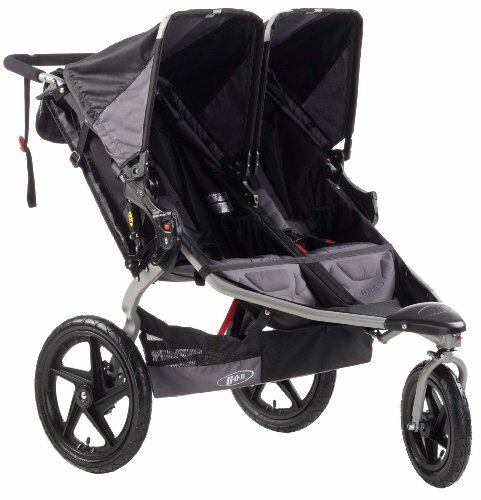 The other thing I don’t like is that to have full functionality of this stroller you need to buy a bunch of different kits for it, it would be nice if you could just buy the stroller and have it come with all the options. 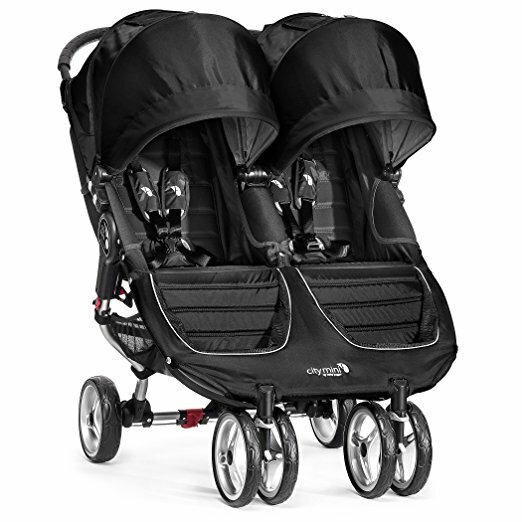 All-in-all this is a great stroller for families who are active and enjoy spending time outdoors with their children. There are plenty of options in how to use this stroller and they have not sacrificed quality with any of them which is very impressive. They are discontinuing this model so get in quick! Still undecided? 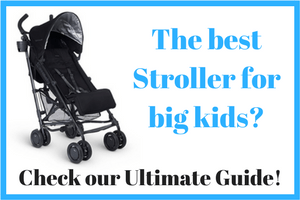 Read our guide to double jogging strollers and single jogging strollers. 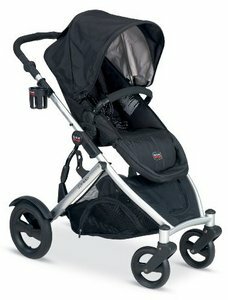 Disclaimer: The Stroller Site is a participant in the Amazon Services LLC Associates Program, an affiliate advertising program designed to provide a means for sites to earn advertising fees by advertising and linking to amazon.com, amazon.co.uk, amazon.ca. Amazon and the Amazon logo are trademarks of Amazon.com, Inc. or its affiliates. 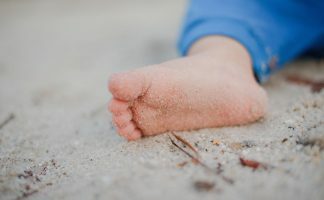 Thank you for supporting TheStrollerSite and ensuring we will keep being able to provide you the best information about the best strollers!